Today I put the back seats back in, loaded up the family and the grandparents too. My Dad is a big guy like myself, so this was the most weight I've hauled yet. It's a bit tight with six, but when two are small kids it's very doable and still a hundred pounds under max gross. It was a windy day, but the bumps weren't too bad so we headed over to KHAF for a bite. The Baron really is turning out to be a fantastic family airplane, this is what owning your own plane is all about! I have some light filaform corrosion on the magnesium skin of the left elevator. I knew about this when I bought the plane and the seller gave me a credit to fix it and I had planned to do that this summer. I've been speaking with Frank at AeroSurfaces out at Chico about doing the work. Basically the options are strip and repaint it then hope it doesn't come back, replace the skins with new magnesium skins from Beech which come which have better corrosion proofing, or replace with new aluminum skins from this outfit under stc: http://www.srsaviation.com/flt_controls.htm Here is a shot of the elevator but it's almost impossible to see the corrosion, you really have to feel it with your hand and it feels like tiny rough bubbles. Today I went flying with Joe Emerson, a pro pilot who is an FO (first officer) for Horizon and is also in my flying club. Even though I now have my own plane, I've decided to stay in my flying club (http://www.nriflyingclub.com). I'm staying in primarily because I'm on the board of directors, I still want access to the fleet of singles when my plane goes in for maintenance, and also because I've met a few friends through the club. The meetings are fun and it's a great way to connect with and meet other pilots like Joe. We met at my hangar and ended up chatting with my hangar neighbor who I met for the first time. He has a pristine Cirrus SR22 and it turns out he runs a charter company out of VNY flying people around on G450's. He spoke with Joe briefly about coming to work for him but required 3000 hours of Jet PIC. After 9/11 guys like Joe who were flying left seat got bumped back down to FO's and all the existing FO's got furloughed, so Joe has a ways to go to get back to captain so he can log PIC time. Even though the captain and the first officer trade off flying legs, for the FO it's all logged as SIC. Always an interesting day meeting people out at the airport. I filed IFR from my phone while sitting in the plane and we headed down to MRY looking for some clouds so we could shoot some approaches in IMC. The fog has been thick lately but we got a bit of a late start, so most of it had burned off in my local area. At Monterey though it can get really thick this time of year, so the valley there was fogged in and we convinced the controller to let us stay IFR and shoot multiple approaches into MRY. Our route was KCCR->BUCH9->PITTS->V108->WINDY->SNS->KMRY. A bit circuitous but a fairly quick hop in the Baron. I requested the RNAV GPS(Z) approach to RWY 10 which puts you out over the bay. It was a nice feeling being out over that cold water with two fans turning. 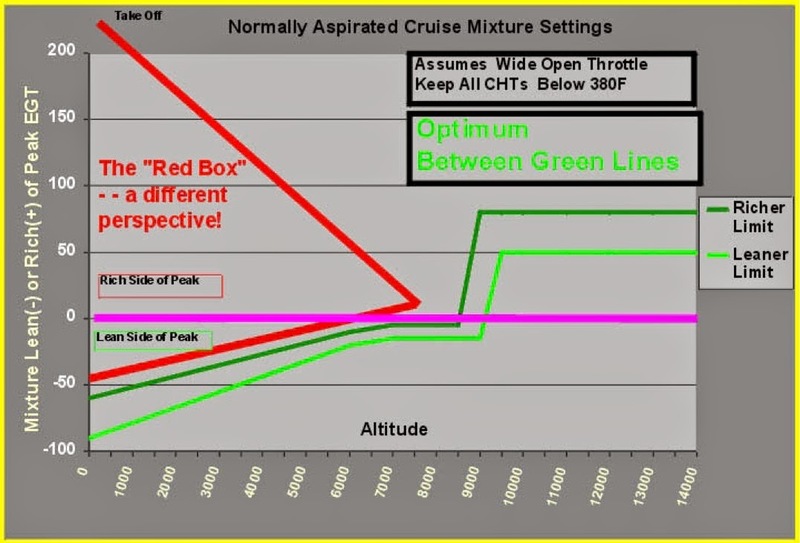 In my IFR training way back when I had the only engine scare I've ever had on the ILS approach to the same runway. We were flying along in the fog over of ocean and suddenly a valve stuck for a few moments... basically the engine stopped breathing for a second, coughed a few times then resumed normally, all while in the fog over that cold cold bay. I had thoughts back to that day as my plane's engines purred along through the fog. Or maybe I'm just trying to make myself feel better about burning 22 gallons of leaded gas per hour. :) It was also funny that my avionics equipment is actually more sophisticated than his regional jet in some ways. I was surprised to learn they don't have vertical guidance on their GPS, so no LPV approaches... it's all ILS. All in a all good fun afternoon (no photos), and it was great to get all the "official" style procedures down from a pro like Joe. I've also been struggling with trying to figure out how to keep all the darned tech gadgets in my airplane updated. There's the navdata, the terrain data, the obstacle data, the flitecharts data, the safetaxi data.. add to that the weather subscription and it's a lot of darned subscriptions! My plan is to just update the navdata, use the ipad for taxi data and possibly charts, though I just updated flightcharts. Terrain data and obstacle data I'll probably update those once year or maybe less. The charts keep me away from obstacles and terrain doesn't really change much. My problem right now is that it's totally unclear to me if the nav data is stored on the G600, the Garmin 430 or both. I was able to update the SID card for the G600, but does that mean the G430 is updated too? It has a different card... you can't buy the navdata for the 430 from garmin, at least I couldn't figure out how, and I can find a jeppesen URL that has it either. Puzzling! Well as much as I love my IPad, as an EFB it works wonderfully indoors but falls seriously short in cockpit tests. It's just not readable in direct sunlight and pretty much turns into a mirror. Here is a video I shot that shows how bad it is... in fairness, this is in California mid day sun, but still... I held it down under the panel away from direct light and it's still nearly impossible to read. It's "barely" usable in the cockpit and I think it shows how good a job Garmin did at this to compare it to the G600.. I'll do another test this weekend.